If you are planning on going green, then there are few vehicles in the industry that are better than the 2017 Toyota Prius. It comes standard with Entune™ Audio and 6.1-inch touch-screen display, which makes it easy to stay connected while out on the road, while also offering 52 mpg combined. As one of the most popular hybrid vehicles on the market, the Toyota Prius offers consumers the perfect combination of style, fuel-efficiency, and tech-savvy features. The 2017 Toyota Prius is available in six trims: Two, Two Eco, Three, Three Touring, Four, and Four Touring. Being eco-friendly has never been as easy—or as stylish—as it is with the 2017 Toyota Prius. Along with being one of the most fuel-efficient options in Toyota’s lineup, the Prius is also safe with standard features like an integrated backup camera. 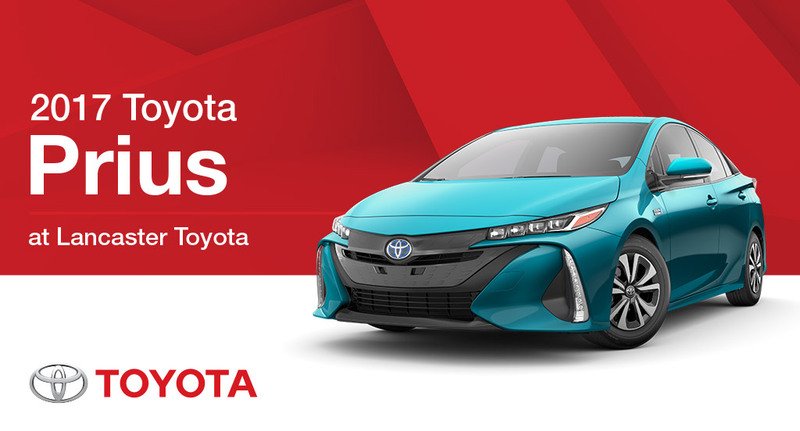 Find out more about the Toyota Prius at Lancaster Toyota.